in Reports & Whitepapers, Social Media with tags iPad, social marketing playbook Both comments and trackbacks are closed. Since the iPad hit stores earlier this week, consumers and marketers alike have been feverishly diving into the far-reaching capabilities of Apple’s newest tech toy. Beyond its ability to blend (iPad-lovers watch at your own risk), the iPad seems primed to have huge effects on the publishing and mobile advertising industries — especially if it shifts the way consumers interact with media. In addition to reading your favorite newspapers, magazines, blogs and e-books on the iPad, you can also read our Social Marketing Playbook, which has been downloaded more than 50K times to date. To get the Playbook, you’ll need to download new iPad-compatible Kindle app and create an account with Amazon if you haven’t already. Finally, search “360i Playbook” to locate our product within the Amazon Kindle store. Note: While we’d love to offer this for free, we were required to charge a a minimum fee of $1. 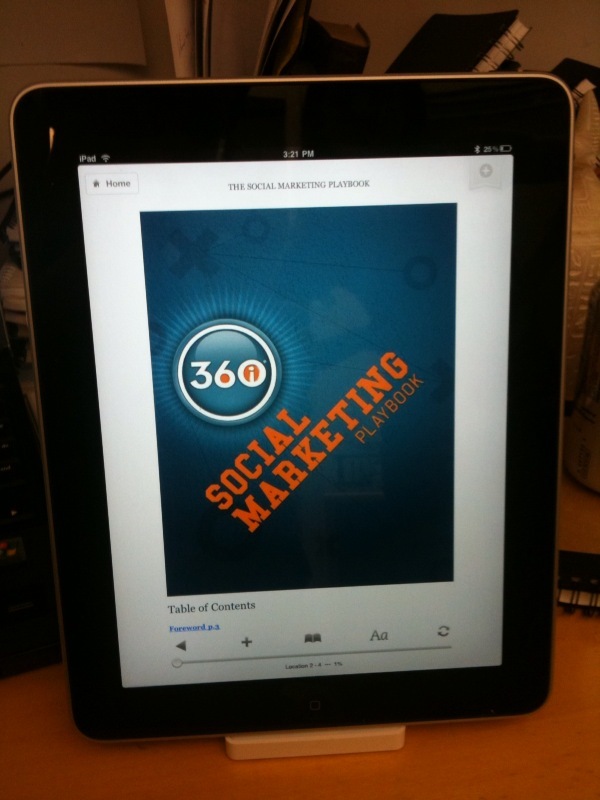 Stay tuned for more insights on the iPad – and social marketing strategy – right here at the 360i blog.